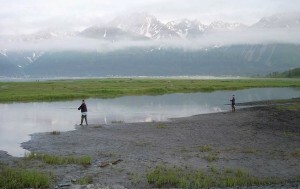 Get away from the crowds of the road system and take an Alaskan Fishing trip with N2 Alaska. We will get you into the fishing action after a quick scenic flight from the designated pickup location. 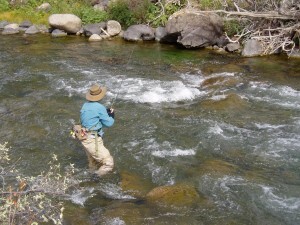 Whether you want to go salmon fly fishing or spinning reel fishing, we have the destinations for whatever you are looking for. 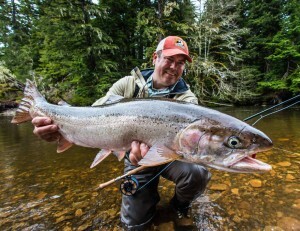 Our Alaska fly in fishing charters will always have you coming back for more. 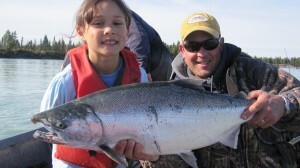 Let N2 Alaska help you plan a once in a lifetime fishing adventure. Savor the best fishing Alaska has to offer. 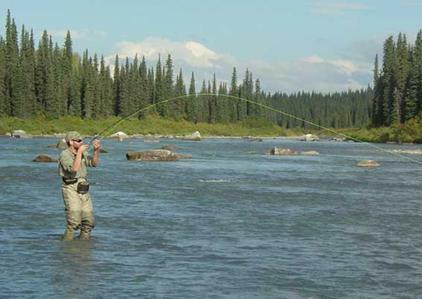 Hook into trophy size King salmon, fast action rainbow trout, fight the legendary silver salmon or lure in the grayling. ” You never understand the true beauty of Mt. McKinley until you're up at 12,000 feet!. The Mt. McKinley Tour was the highlight of my Alaskan vacation. I can’t recommend it highly enough to other travelers. David Hick’s and N2 Alaska made our experience a once in a lifetime memory.” – David L.
N2 Alaska is a family owned and operated Air Taxi based in Talkeetna, AK. During the summer months we operate on floats out of Christiansen Lake. Winter months will find us operating on wheel/skis.